Editor’s note: Many people make a list of New Year’s resolutions, and most of us have difficulty keeping them! But here’s one resolution that’s easy to follow through on: donating blood. Hospitals and patients are in critical need for blood, yet the donation rate is very low. A procedure of a few minutes can help save lives, and the process is much less uncomfortable and frightening than many people think. Here, the Mayo Clinic explains the importance of donation and how you can play a part. DEAR MAYO CLINIC: I recently received a call from a local blood donation center asking if I’d be willing to donate. I’d like to help, but I’ve never donated before and I’m nervous about it. I’m not a fan of needles, and I’m afraid I might faint. Also, is there really that big of a need for donated blood on a regular basis? ANSWER: Donating blood makes a real difference in people’s lives. Hospitals are always in need of new blood donors. Being nervous about blood donation at first is common. But blood donation center staff members are skilled at making the experience as smooth and anxiety-free as possible. Currently, as few as 3 percent of Americans who are eligible to donate blood actuallyvbbecome donors. That’s a concern because many people in the U.S. need blood every day. Some may need blood during surgery. Others may require blood transfusions after an accident. Still others rely on donated blood because they have a disease that makes it necessary for them to receive red blood cells or other blood components. In some cases, receiving donated blood may be the difference between life and death for these individuals. any potential blood donors voice concerns similar to the ones you mention. 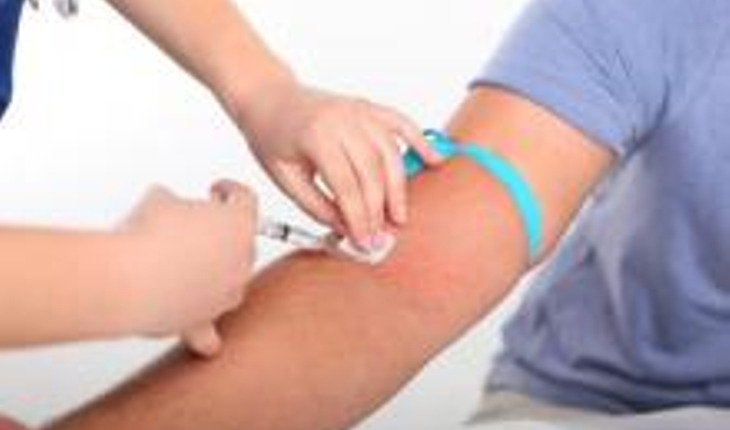 Fear of needles, fainting and seeing blood are all common reasons people cite for avoiding blood donation. But these worries often turn out to be much less daunting than people anticipate. For example, the needles used for blood donation are sharp, and the needlestick is similar to what you feel when you get a vaccination or have blood drawn for testing. Also, you do not have to watch as the needle is inserted, nor do you have to see the blood at any time during your donation if you prefer not to. Many blood donation centers offer televisions or small video screens you can use during a donation to help keep your mind occupied while you are donating. Fainting before, during or after blood donation is rare. Studies suggest that drinking about 16 ounces of water with a salty snack before you donate may lower your risk of fainting. Eating a healthy meal before you donate blood also makes it less likely you will have other side effects such as dizziness, lightheadedness or nausea after you donate. As you consider donating blood, be assured that the process is safe. A new sterile collection set, including the needle, is used for each donor. That means there is no risk of getting an infection or disease by donating blood. Most healthy adults can donate about a pint of blood without any health risks. Your body replaces the fluids it loses during a blood donation within about 24 hours. The red blood cells you donate are replaced in your body within several weeks. When you arrive at the blood donation center, you are given a confidential medical history form to fill out. You also have your blood pressure, pulse and temperature taken. A small sample of blood taken from a fingerstick is used to check your hemoglobin, the part of your blood that carries oxygen. If your hemoglobin concentration meets eligibility criteria and you meet all the other screening requirements, you can donate blood. As you consider becoming a blood donor, keep in mind that there is no substitute for human blood. One donation of whole blood can help at least three people. By donating blood, you truly offer a lifesaving gift. — Manish Gandhi, M.D., Transfusion Medicine, Mayo Clinic, Rochester, Minn.
Reprinted with permission from www.mayoclinic.com.